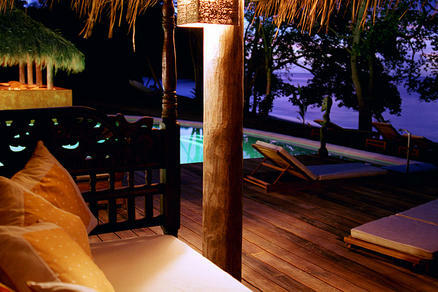 Grenada is a very lush, mountainous island with fragrant spice trees and beautiful tropical flowers. Bordered by stunning beaches, and dotted with picturesque towns, this verdant island has long been a major source of nutmeg, cloves, ginger, cinnamon, and cocoa. 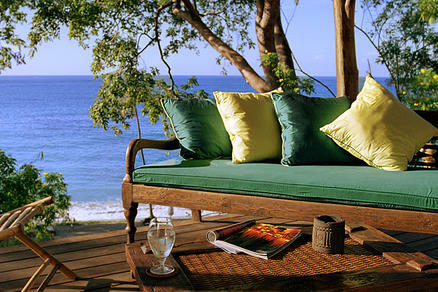 The seductive drifts through the colorful Saturday markets and Grenada’s dense forests. In the interior of this volcanic island are cascading rivers and waterfalls, lush rain-forests, and one of the most breathtakingly beautiful mountain lakes imaginable. 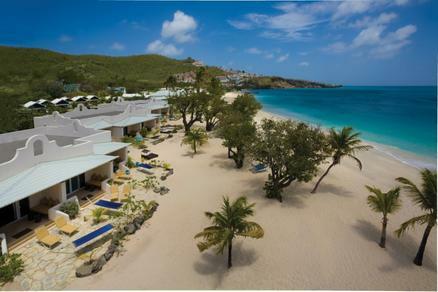 For the best results start with our vacation planner and get connected to our Virtuoso, Travel Advisor that specializes in Grenada. You’ll prevent costly mistakes, get the best airfare, luxury amenities, free upgrades and enjoy planning your trip. The capital, St. George’s, is widely held to be the loveliest city in the Caribbean. Its horseshoe-shaped harbour is surrounded by a pastel rainbow of dockside warehouses and the red-tiled roofs of traditional shops and homes. 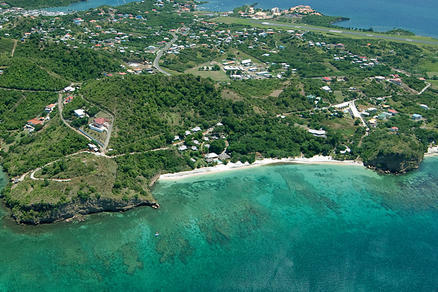 Grenada’s physical beauty is complemented by its rich history and vibrant, living cultural heritage. Local festivals, fairs, and markets remain an integral part of life on Grenada. Its centuries-old spice plantations and rum distilleries still use traditional methods, emphasizing quality rather than quantity. Although the tourist industry has become more substantial in recent years, the island’s easy rhythms and the friendly openness of its residents evoke an atmosphere that has long since vanished elsewhere. For many visitors, of course, the measure of any island is taken by its beaches and coral reefs, and Grenada offers plenty of both. The island is ringed with miles of picture-perfect strands, including both entrancing black and sugar-fine white sand beaches. Grand Anse Beach, a smooth expanse stretching for two miles around the curve of a gentle bay, is world famous. Grenada has plenty to offer those interested in offshore pleasure as well, with easily accessible and pristine reefs off the coast of both Grenada and its sister island, Carriacou. This small nation consists of three islands: Grenada, Carriacou, and Petit Martinique. 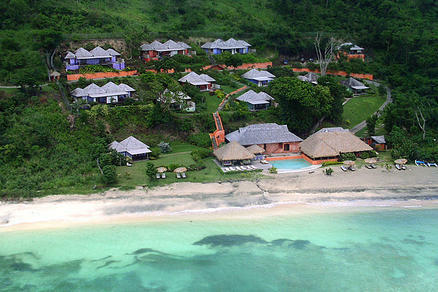 Grenada is by far the largest of the three, with a width of twelve miles (18 km) and a length of twenty-one miles (34 km). Its 133 sq. miles (440 sq. km.) are mountainous, volcanic terrain, reaching heights of over 2,750 feet atop Mount St. Catherine. This topography provides Grenada with one of the loveliest and most varied environments in the Caribbean, including crater lakes as well as a startling variety of plant and animal life. Dwarf forests high atop Mount St. Catherine descend to the montane rainforests of middle altitudes, which give way in turn to the dry forests of the lowlands. Those forests shift to mangrove at the coast, giving way to stunning white sand beaches, brilliant blue water, and exquisite coral reefs. Grenada’s smaller sister island, Carriacou, is hilly but not mountainous. With smoother terrain, Carriacou is an ideal destination for walking. It possesses fine sand beaches and natural harbours, as well as offering excellent views out over the northern Grenadine islands. Petite Martinique, the third and by far the smallest island in the state, consists of little more than the tip of a volcanic cone poking through the water. It is only now being developed for visitors.